everything LEB: WANTED: more space! Who is the disaster now? Ummm yup, that's me. I think that's the ironing board in the top left corner too. I always have some type of project going and it would be nice to be able to have my own office too. His and hers offices are a must in the next place! We had the requirement for an office that we would share- it is great for the computers/desk but does not have enough room for crafting. 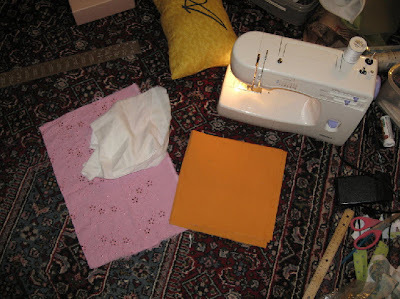 Next time I will also be requiring a much bigger space so there is room for crafting project work! It is almost impossible for me to list just one thing that I want in my next home... but 12' ceilings is definitely on the top of my list! I have 8' ceilings now and it really has an impact on how you can design a room! I love living alone because the same is truly "me"! I love that my home is a "fixer upper" because I can renovate it just the way I want to. I also love that it's right next to a Trader Joe's market --soo convenient! I love the all of the old, established hardwood trees surrounding our house--even though I live in fear of one crashing through the roof. The list for the next house is pretty long, but I might start with a bigger closet. Mine now is pretty sad. I love my home, full of light - but with the new addition, I will soon (well in a year) have my very own studio space to design, create and inspire my artful life!!! I can hardly wait! I think in my next home- I would love a room for me. 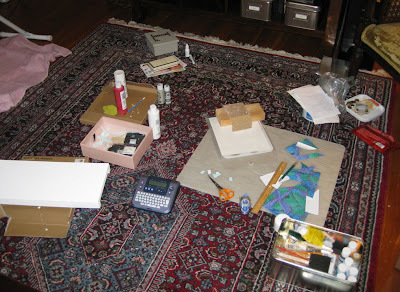 Where I can spread out and craft, sew, draw, paint, blog- whatever! Somewhere for me to get away! So, I think some craft, art, me space is def in order for the next place- I agree with all of you. Oh, I forgot an ironing room. My mom has one and its great- you never have to put the ironing board away!